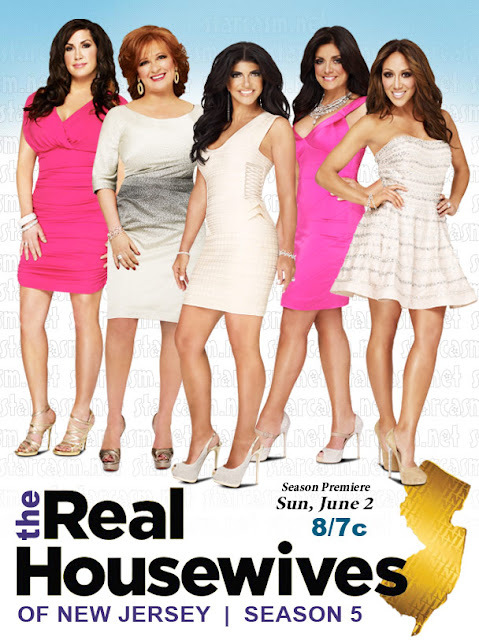 Hurricane Sandy is wrecking havoc on the state of New Jersey and the Housewives all venture out to their summer homes on the shore to access the damages. Both Teresa Giudice and Melissa Gorga's homes are disheveled but luckily, there wasn't too much exterior damage to their homes. Joe Giudice tells Tre she would have "drownded" if she was in the home when the hurricane hit because she can't swim. I don't know why I find that so odd...Tre is always laid up by the pool or by a lake so I'm surprised she can't even swim. Tre then tells Juicy that her brother didn't even call her after the hurricane. Oh lawd, here we go again with the brother sister conflict. Can they kiss and make up already? I can't take another season of this mess. Tre and her bad a** daughters are giving away their "glamorous clothing" and shoes to the victims of hurricane Sandy (because we all know that all a person needs after losing their home is some glamorous clothes *insert eye roll here*). Milania asks Tre when she is going to see her cousins and her Aunt and Uncle again. Tre tells her "hopefully soon" but what the hell is she doing in order to make this happen? She's not talking to Joe nor Melissa so how does she expect their relationship to get any better? Im gonna need for Tre to grow some common sense. Jacqueline Laurita comes on screen and instantly starts crying. Smh. Didn't I tell this lady to get off of reality t.v. and focus on her family? Anywaytho, her son Nicholas' is throwing a tantrum because Jacqueline is withholding his ipad. What ever happened to kids playing with toy trucks, trains and action figures? Times have definitely changed. Melissa is still living in the home that she so desperately wants to sell so that she can get away from Teresa. She shares a letter that her daughter Antonia wrote to Teresa's daughter Milania. They decide to mail the letter and they spell poor Milania's name wrong...twice. Kathy and her family are being as boring as ever and I completely glazed over this entire scene. Next! Milania's letter comes in the mail and Milania is so excited her little face just lights up. Milania wants to write her back but instead, Teresa tells her to call Antonia up on the phone to say hello. The girls get on the phone and are saying "I miss you" to each other. I almost shed a little tear. Caroline Manzo and her husband Albert are renting a house in Hoboken to see how they like apartment living. Huh? That doesn't even make sense. She clearly wants to be up her son's butts since they live right around the corner. Melissa and Joe drop by because they are now bff's with Caroline. Joe says he gravitates towards Caroline because she gives him that motherly love. Ummm, you have a mother Joe. Why not give her a call? Teresa and Joe are out at dinner when Melissa decides to text Tre and tell her instead of dropping her daughter off at Teresa's for a play date she would much rather take the girls out somewhere. Pretty much, Melissa doesn't want her daughter at Teresa's house. Caroline stops by Jacqueline's house and cottdamn this bish Jacqueline's face either has alcohol bloat or she visited one too many plastic surgeons during her time off. Carolina is telling Jacq about Milania wanting to have a play date with Antonia. Here these ladies go again inserting themselves until other people's drama. Teresa takes Gia out shopping and Gia is looking way too grown for her own good. And she's only 11 years old? Why the heck does she have on so much makeup? This is just too much for me, I can't even stand to look at her little caked on clown face. Melissa texts Teresa and tells her she will be picking up Milania tomorrow for their play date and Gia, with her grown self is like, "why is she just picking up Milania all of a sudden? You should be going" So Gia gets on Teresa's phone and types a reply to Melissa that says "Yes, I will bring Milania. Please send me the address". This little chickadee is a genius. Milania is getting ready for her play date with her cousin Antonia. The girls are going to go make jewelry and Milania is not excited about the venue at all. Meanwhile at the Gorga residence, Joe tells Melissa that Caroline wants to meet up for coffee. Melissa is confused as to why Caroline wants to meet up with her man and she thinks Caroline needs to mind her own business. Melissa is driving her new Bentley to the play date. Looks like those "On display, on display, on display" checks are still coming in. Antonia walks into the bead store and immediately runs up to Milania and gives her a huge hug. Awww, they are too sweet. Caroline meets up with Joe Gorga at a pastry place. Caroline is giving Joe advice on how to make up with his sister. Once again I gotta ask, why is Caroline on the show? She has absolutely no story line unless it involves the Gorga-Giudices. Teresa asks Melissa when Antonia's communion will be taking place and Melissa tells her, "May 11th" well come to find out, Gabriella's communion is on the exact same day. Tre tells Melissa that one of them needs to move the party so that her parents won't have to hop back and forth between both parties but Melissa doesn't think that's necessary. Teresa decides to change her party date to be "the bigger person". The girls say goodbye to each other and they are upset that they have to part ways. They have to know that there is tension and before it starts to really effect the kids, these adults need to learn to just love each other and move forward in life! Aint nobody got time to be holding grudges! 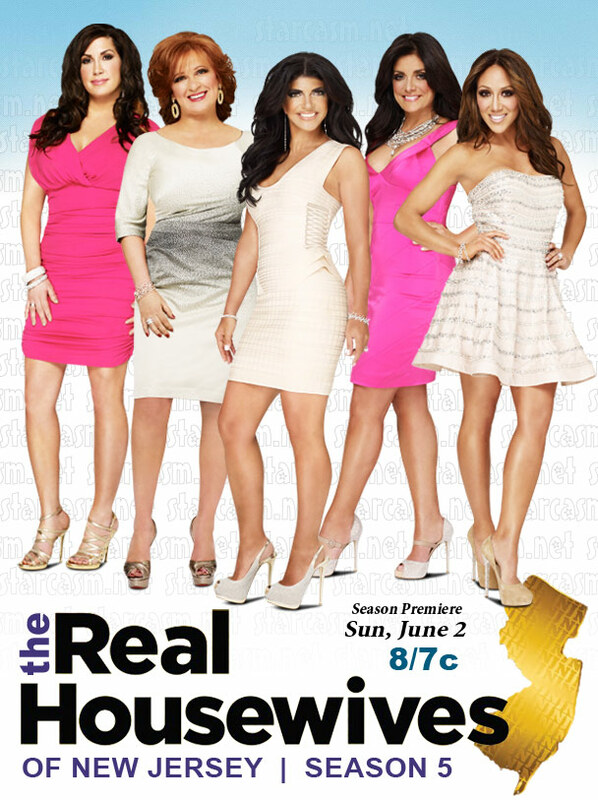 What did you think of the season premier of the Real Housewives of New Jersey?